The fourth quarter was a rough one for most investors, as fears of a rising interest rate environment in the U.S, a trade war with China, and a more or less stagnant Europe, weighed heavily on the minds of investors. Both the S&P 500 and Russell 2000 sank as a result, with the Russell 2000, which is composed of smaller companies, being hit especially hard. This was primarily due to hedge funds, which are big supporters of small-cap stocks, pulling some of their capital out of the volatile markets during this time. Let’s look at how this market volatility affected the sentiment of hedge funds towards CGI Inc. (NYSE:GIB), and what that likely means for the prospects of the company and its stock. Is CGI Inc. (NYSE:GIB) a bargain? Money managers are in a bullish mood. The number of bullish hedge fund positions advanced by 2 recently. Our calculations also showed that GIB isn’t among the 30 most popular stocks among hedge funds. In the financial world there are a multitude of formulas shareholders put to use to size up publicly traded companies. A couple of the best formulas are hedge fund and insider trading sentiment. Our experts have shown that, historically, those who follow the top picks of the elite hedge fund managers can trounce their index-focused peers by a healthy margin (see the details here). Let’s review the recent hedge fund action encompassing CGI Inc. (NYSE:GIB). How are hedge funds trading CGI Inc. (NYSE:GIB)? At Q4’s end, a total of 17 of the hedge funds tracked by Insider Monkey were bullish on this stock, a change of 13% from the previous quarter. 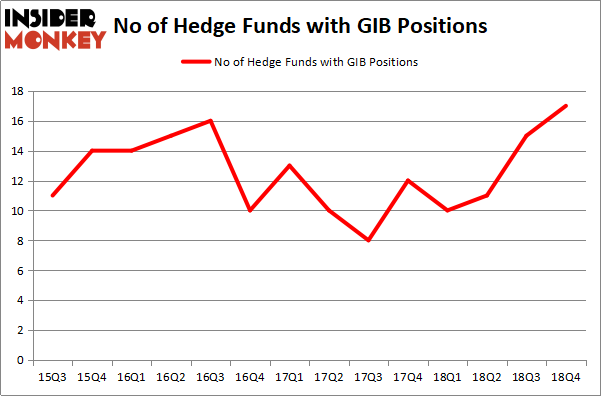 The graph below displays the number of hedge funds with bullish position in GIB over the last 14 quarters. So, let’s see which hedge funds were among the top holders of the stock and which hedge funds were making big moves. According to Insider Monkey’s hedge fund database, AQR Capital Management, managed by Cliff Asness, holds the biggest position in CGI Inc. (NYSE:GIB). AQR Capital Management has a $169.3 million position in the stock, comprising 0.2% of its 13F portfolio. The second largest stake is held by Peter Rathjens, Bruce Clarke and John Campbell of Arrowstreet Capital, with a $101.6 million position; the fund has 0.3% of its 13F portfolio invested in the stock. Some other peers that are bullish include Noam Gottesman’s GLG Partners, John Overdeck and David Siegel’s Two Sigma Advisors and Ray Dalio’s Bridgewater Associates. As one would reasonably expect, key hedge funds have been driving this bullishness. D E Shaw, managed by D. E. Shaw, initiated the biggest position in CGI Inc. (NYSE:GIB). D E Shaw had $0.7 million invested in the company at the end of the quarter. Matthew Hulsizer’s PEAK6 Capital Management also made a $0.3 million investment in the stock during the quarter. The other funds with new positions in the stock are Ronald Hua’s Qtron Investments and Richard Driehaus’s Driehaus Capital. Let’s now review hedge fund activity in other stocks – not necessarily in the same industry as CGI Inc. (NYSE:GIB) but similarly valued. These stocks are Diamondback Energy Inc (NASDAQ:FANG), Cheniere Energy, Inc. (NYSEAMEX:LNG), Magna International Inc. (NYSE:MGA), and Franklin Resources, Inc. (NYSE:BEN). This group of stocks’ market caps resemble GIB’s market cap. As you can see these stocks had an average of 35 hedge funds with bullish positions and the average amount invested in these stocks was $2060 million. That figure was $363 million in GIB’s case. Cheniere Energy, Inc. (NYSEAMEX:LNG) is the most popular stock in this table. On the other hand Magna International Inc. (NYSE:MGA) is the least popular one with only 22 bullish hedge fund positions. Compared to these stocks CGI Inc. (NYSE:GIB) is even less popular than MGA. Considering that hedge funds aren’t fond of this stock in relation to other companies analyzed in this article, it may be a good idea to analyze it in detail and understand why the smart money isn’t behind this stock. This isn’t necessarily bad news. Although it is possible that hedge funds may think the stock is overpriced and view the stock as a short candidate, they may not be very familiar with the bullish thesis. Our calculations showed that top 15 most popular stocks among hedge funds returned 19.7% through March 15th and outperformed the S&P 500 ETF (SPY) by 6.6 percentage points. Unfortunately GIB wasn’t in this group. Hedge funds that bet on GIB were disappointed as the stock returned 10.3% and underperformed the market. If you are interested in investing in large cap stocks, you should check out the top 15 hedge fund stocks as 13 of these outperformed the market. Do Hedge Funds Love Smith & Nephew plc (SNN)? 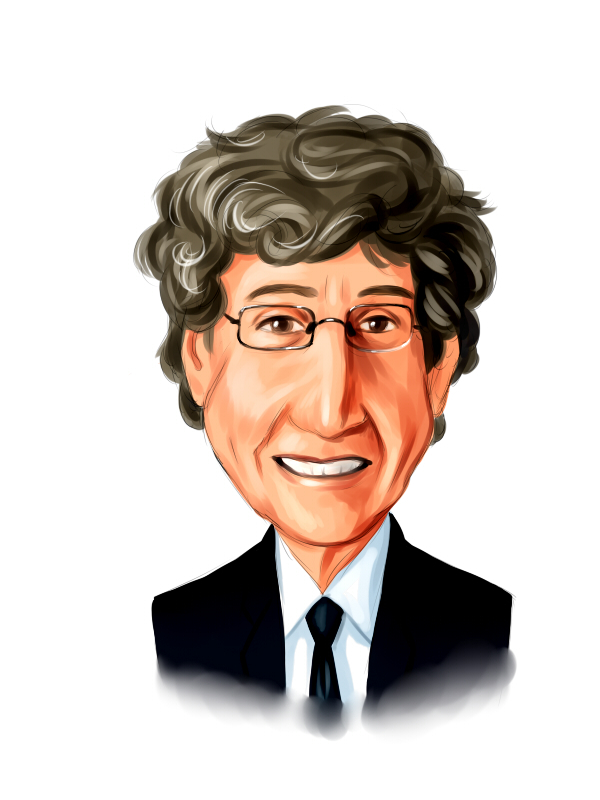 Here is What Hedge Funds Think About CBS Corporation Here is What Hedge Funds Think About Check Point Software Technologies Hedge Funds Have Never Been This Bullish On International Paper Company (IP... Hedge Funds Have Never Been This Bullish On Weyerhaeuser Co. (WY) Do Hedge Funds Love CenturyLink, Inc. (NYSE:CTL)?